Could Defective Tires Be Responsible for Your Accident? We’ve all heard of “kicking the tires” before purchasing a new vehicle. But, does that really mean much of anything? Will a little jerk of the foot find evidence of defective tires? Of course not. 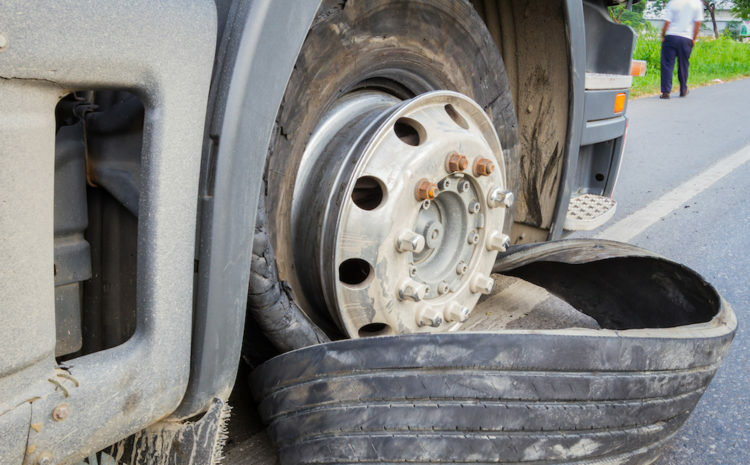 Tire defects are responsible for a large number of accidents. Many vehicle crashes with substandard tires are serious ones that involve personal injury. Some of the issues have even resulted in fatalities. Could defective tires be responsible your accident? Learn some valuable information that may be pertinent to your prospective claim. We all know that when it comes to tires, maintenance is imperative. In fact, the National Highway Traffic Safety Administration (NHTSA) offers some valuable tips about tire safety. Nonetheless, despite your best efforts to maintain a safe vehicle, you may be driving a vehicle with defective tires. The malfunction could cost you or a loved one to become involved in a serious accident. The federal government maintains a list of all recalled tires. There are two ways to search this database. You can either put in your Vehicle Identification Number (VIN) or enter the tire’s brand name. There is also an option to provide the size or type of tire. What kind of information will you get back with this type of search? First, you can determine if a tire has been recalled. You can also see if any investigations have been conducted on a particular tire. A list of consumer complaints is provided on this site, as well as any communications from the manufacturer. A recent news article indicates that GITI Tire and Continental Tire have both recalled defective tires. The GITI Tires are identified as Primewell Valera Touring II, GT Radial Champiro Touring, and Dextero Touring DTR1 tires. The Continental Tire recall is for Crosscontact LX20 tires. What could be the consequence of insufficient adhesion within the belt package? A serious one. According to information provided by Continental Tire as part of the recall, even partial tread/belt loss could increase the likelihood of a motor vehicle accident. If there is evidence that a defective tire has contributed to a motor vehicle accident, there may be a claim against the manufacturer and/or the distributor of the faulty tire. It is important to seek the services of an experienced products liability lawyer to investigate the claim. At de Lachica Law Firm, we have experience handling both products liability and auto accident claims. If you have been injured in an accident, we would be pleased to meet with you. Please call us to schedule an free appointment.